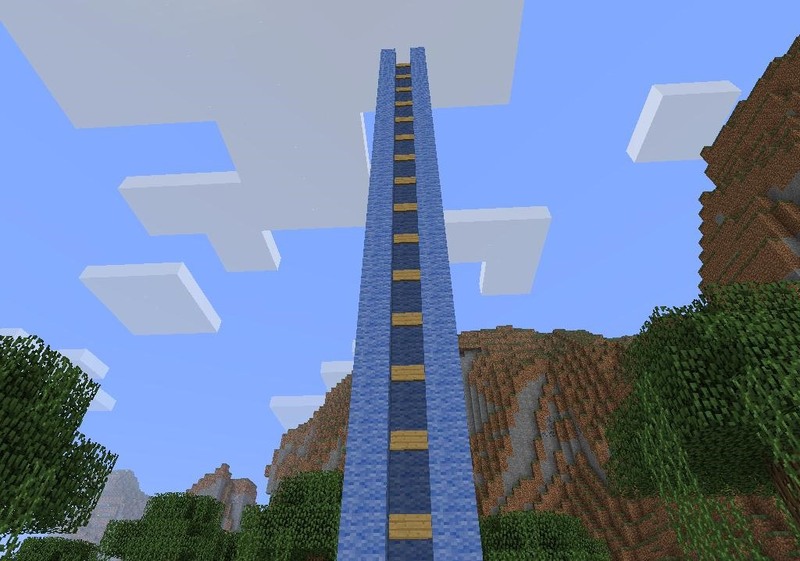 Getting up and down in Minecraft can be extremely time consuming without the assistance of fly mods or speed hacks. 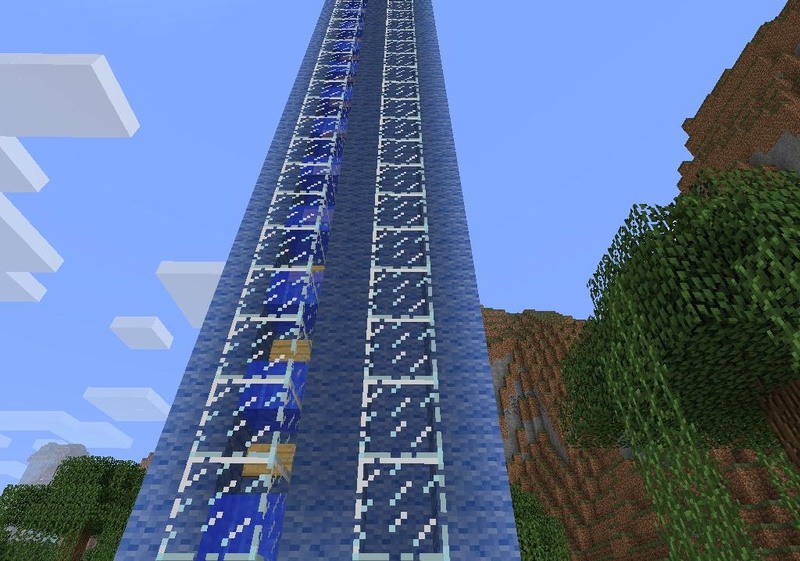 If you're a pure player looking for a safe and effective way to travel vertically, why not try the Minecraft water elevator? It's a simple to use device that neither requires neither expert know-how or miles of redstone wiring. It's even faster than many piston elevators. 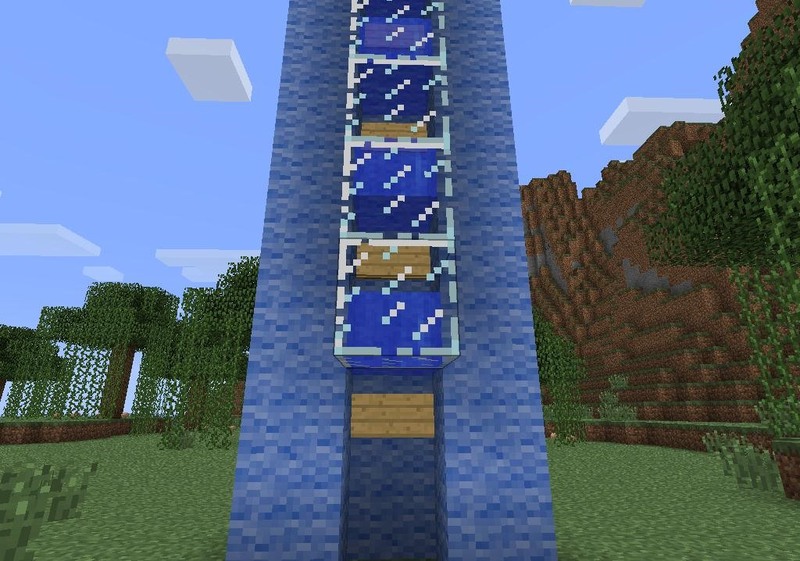 I love Minecraft tricks like the water elevator, because it is a deceptively simple device that utilizes built-in Minecraft mechanics and is elegant in design. Decide where you're going to build. 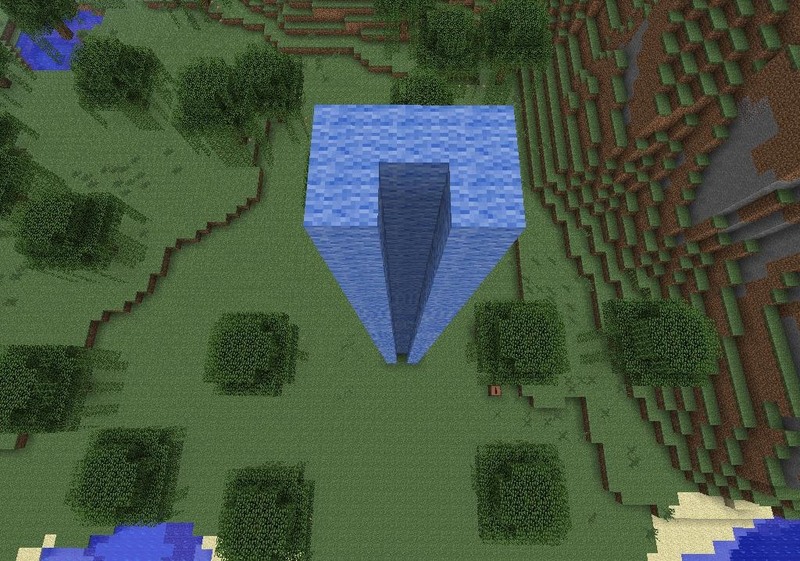 Will it be up to a tall skyscraper or down into a great mine? (1) Whereever your elevator will be, start by laying out its frame. Build a one block shaft going up or down. For the present, leave one side open. (2) Here's the top of my elevator in the making. (1) Add signs to every other block in your elevator shaft. (2) Leave an empty space at the top and bottom of your elevator. 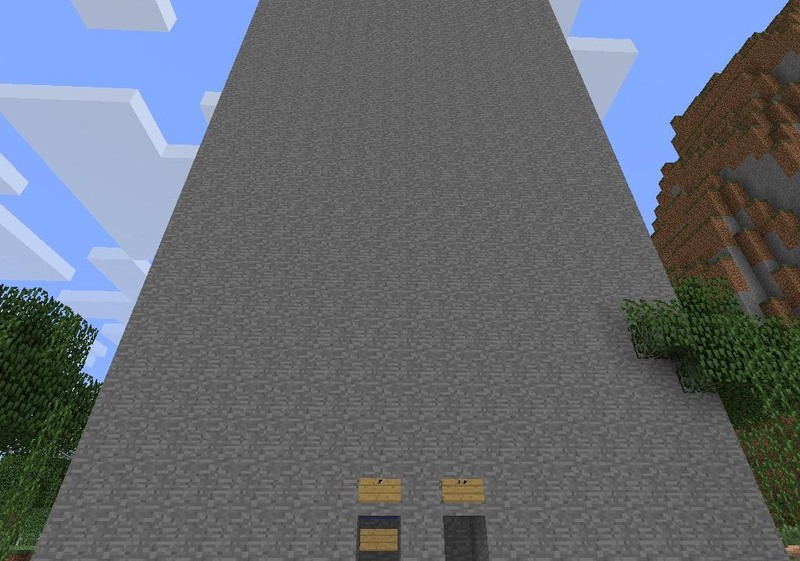 (1) Now add blocks to the elevator, leaving only a 1 by 1 space. I filled mine in here with glass so you can see inside. , (2) Fill water in between each sign, be sure to leave two blocks open at the bottom of your elevator so you can enter it. The first half of your elevator is now complete. (1) Adding a down shaft is much easier than the up shaft. 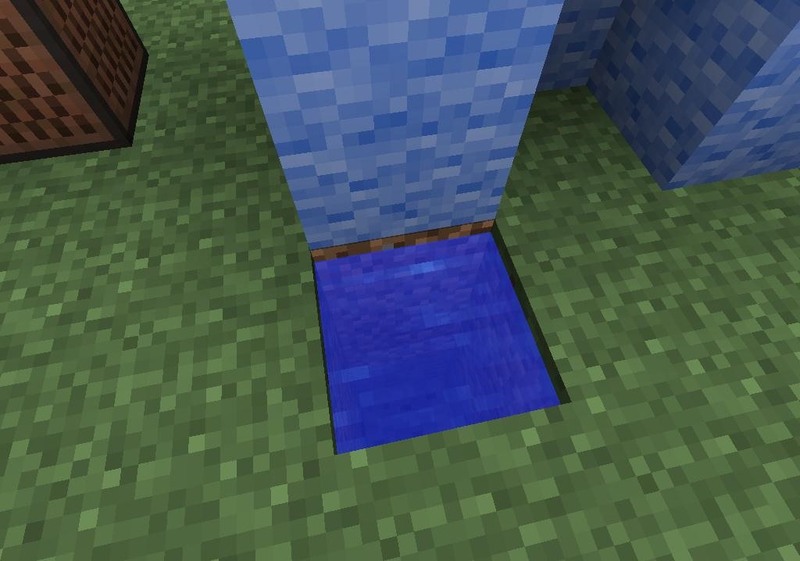 To add a down shaft, simply dig a three deep hole in the ground and fill it with water. 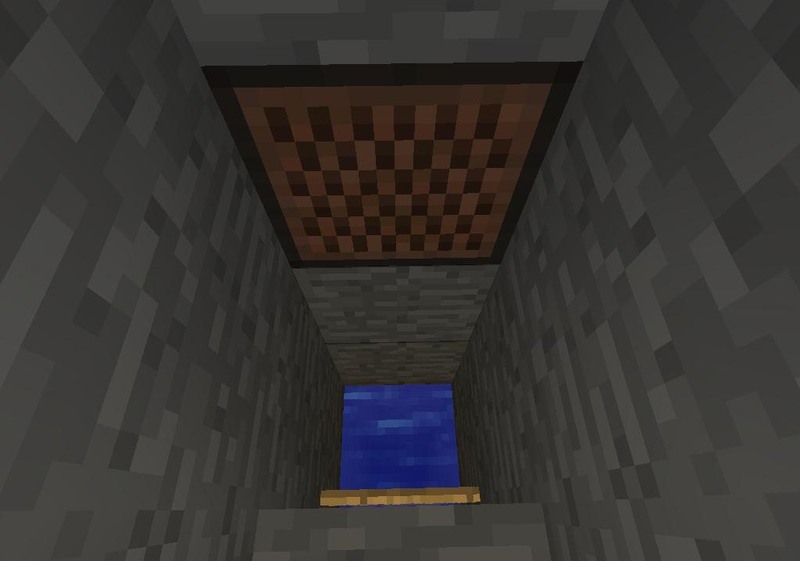 (2) Surround the three deep hole with a blocks so that you have a 1 block wide shaft. You have now completed your down shaft. If you feel that your elevator is a bit hard on the eyes, remember you can use whatever blocks you want. Try to incorporate your elevator into your home or mine in a natural way. 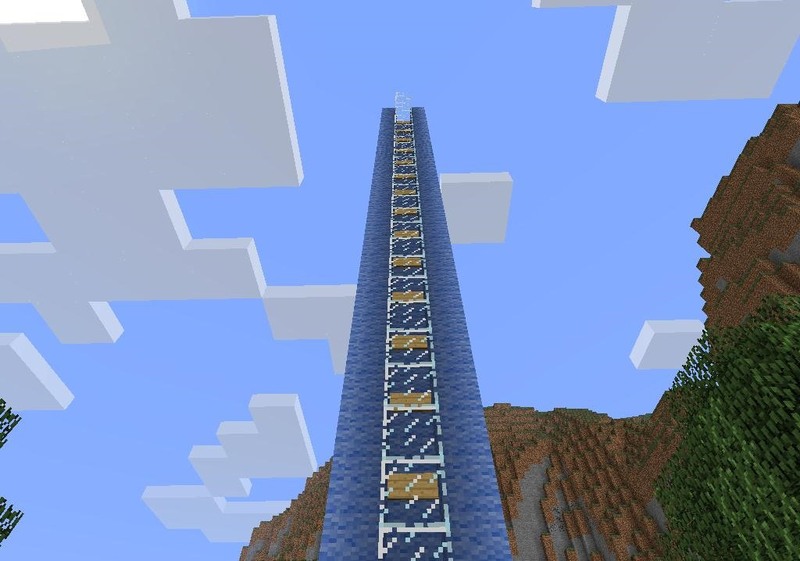 (1) Here I have added an elevator to a tower home. 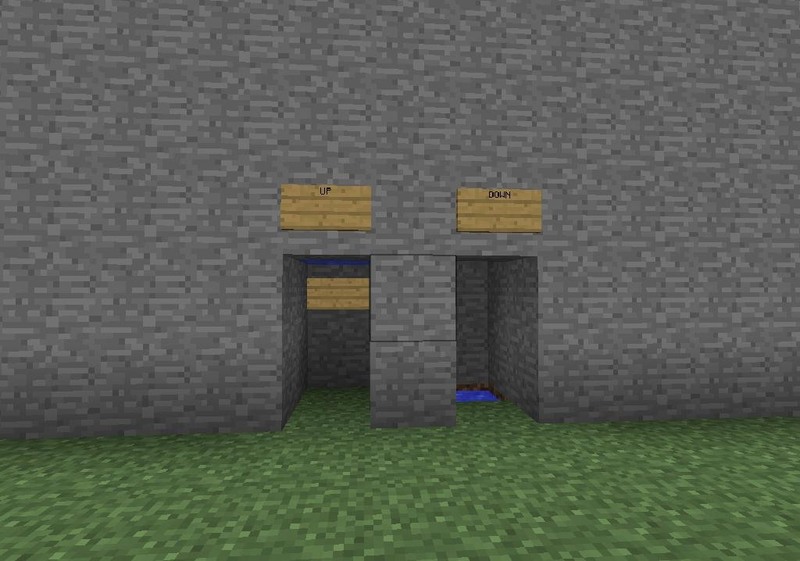 (2) It keeps creepers out and moves players quickly. , (3) For added fun place a jukebox for elevator music! 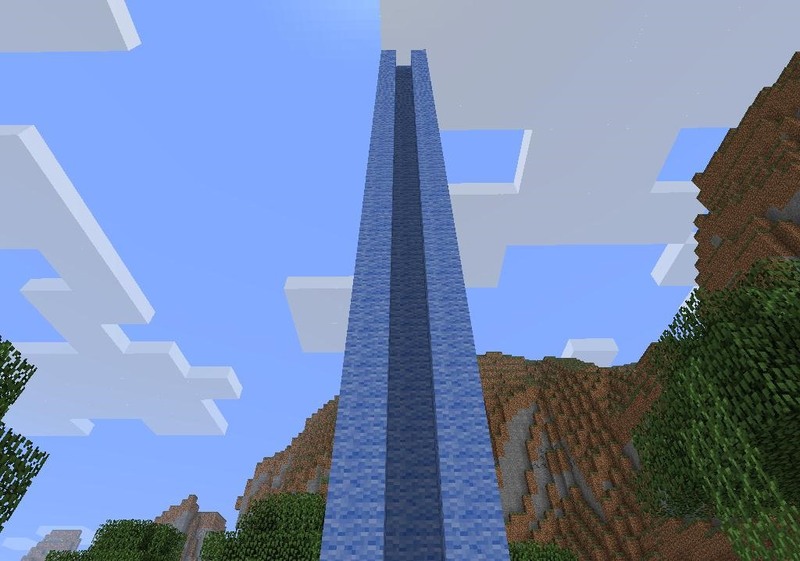 A proper water elevator will move a player from bedrock to sky and back in just under a minute, indeed most of that time is spent going up. 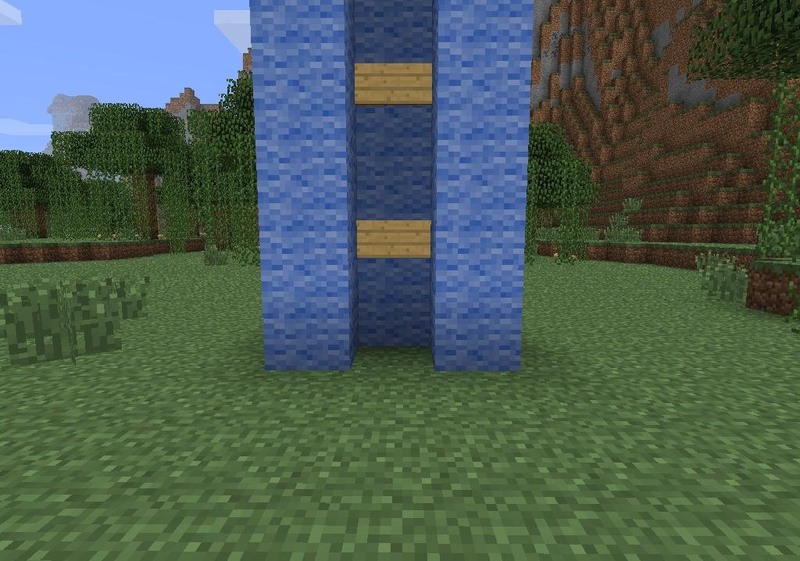 Now you can move efficiently between bedrock and sky without wasting resources or time! If you have any questions about this tutorial or suggestions for future How-To's, feel free to post them in the comments section below.